The Appspace Core 5.5 build is a planned update that focuses on platform optimization, enhancements and the latest bug fixes. This build was released on May 2nd, 2015 and covers Appspace Cloud. Content assets can now have individual expiration dates. Expired content assets will be automatically removed from the system. 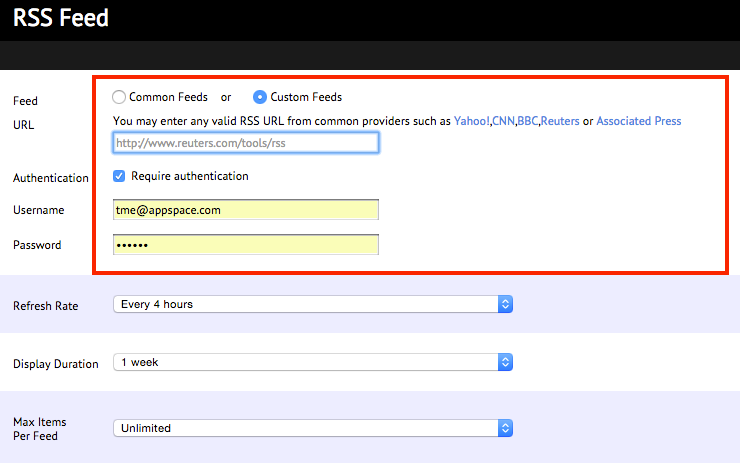 All RSS widgets (Ticker/Viewer) have been updated to retrieve feeds from authenticated sources. 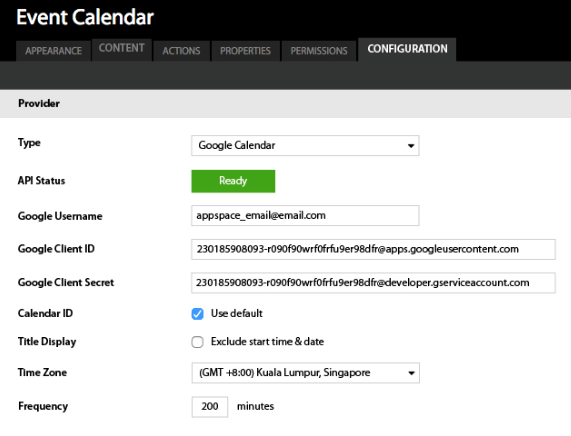 You are now able to configure your calendar providers without having to switch to administrator mode. Omni users are now able to self-provision a server license that can be applied to an offline server. AE-1220: Dynamic Media assets not updating. AE-1319: Unable to duplicate schedule in app. AE-1422: Players missing from advanced task listing in Device Tasks. AP-7572: No error message when input invalid password on User Profile page. AP-7732: Content Library does not display all assets after a tag has been removed. AP-7822: Unable to login using Internet Explorer 11 and Safari. AP-7879: Application name with > is save as &gt. AP-7963: Dynamic media is not updated when using credentials with domain name. AP-8048: Players missing when selecting a player group in Device Tasks.